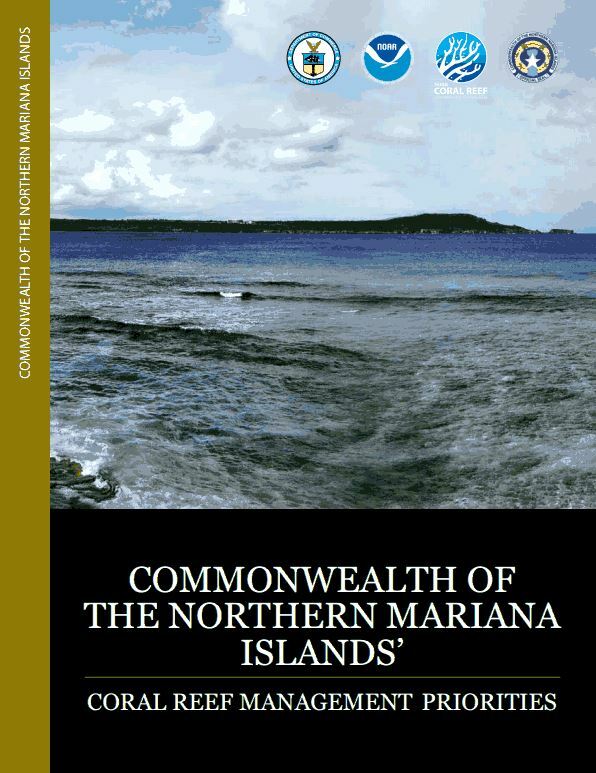 The purpose of the Priority Setting document is to articulate a set of strategic coral reef management priorities developed in consensus by the coral reef managers in Commonwealth of the Northern Mariana Islands (CNMI). NOAA will use this document in conjunction with its NOAA Coral Reef Conservation Program Goals & Objectives 2010-2015 (available at www.coralreef.noaa.gov) to direct its investment in activities in each jurisdiction through grants, cooperative agreements and internal funding. NOAA will also make the document available to other potential funders (non-governmental organizations [NGOs], federal partners, etc.) and encourage leveraging and new or expanded partnerships to build common coral reef conservation goals. Follow this link to the CNMI Coral Management Priorities document. Improve the condition of CNMI’s coral reef ecosystems by reducing the amount of sediment, nutrients and other land-based sources of pollution in CNMI’s watersheds. Increase the abundance and average size of CNMI’s key coral reef fishery species to protect trophic structure and biodiversity and improve coral reef ecosystem condition (within and outside of existing marine protected areas [MPAs]). Develop the legal and administrative authority and capacity to monitor and assess impacts of military build-up activities on coral reefs by 2012. Monitor the short and long-term impacts of global climate change as part of a longer-term adaptation strategy. The Commonwealth of the Northern Marianas (CNMI) Local Action Strategy (LAS) was developed through a coordinated effort among the CNMI’s three principle natural resource management agencies. To initiate the LAS process, several meetings with the CNMI Watershed Group and Local Coral Reef Advisory Group were held to discuss background information relevant to the five focus areas. A series of stakeholder meetings were then held on the CNMI’s three main populated islands of Tinian, Rota, and Saipan. Participants brainstormed coral reef protection challenges and needs related to each focus area and potential activities to address them. A lead agency staff person for each focus area guided the effort to develop draft goals, objectives, and projects using the information gathered from the stakeholder meetings. The preliminary LAS drafts then served as a basis for further development and refinement of the strategies during a two-day stakeholder workshop. Over 60 participants from the three islands representing local and federal government agencies, non-governmental organizations, and businesses worked in focus groups to develop a second more refined draft of the LAS. Follow this link to the CNMI Local Action Strategy Factsheet. Conservation Action Planning is a natural resource management framework that is gaining widespread use and success in Micronesia and other Pacific Island regions The Conservation Action Plan (CAP) process is represented by four major steps which work together to form a cyclical analysis of conservation planning. The cycle starts with defining the project, which includes defining the people (stakeholders) involved, as well as the project scope and focal targets. During this initial step, partners examine target viability, rate critical threats to the focal targets, and perform a situation analysis. Then, the project team develops objectives, strategies and actions to be performed and implemented in order to mitigate threats and improve the health of the focal conservation targets. These steps are followed by the gradual implementation of the strategies and measures, then the use of the results to adapt and improve before beginning the process again. The process helps groups to focus on certain conservation aims, threats and strategies by engaging key stakeholders and team members to achieve desired outcomes, measure their achievements and reevaluate and continue their progress (The Nature Conservancy, 2007). Partners in NOAA’s Coral Reef Conservation Program have identified three priority watersheds which were slated to have CAPs created to assist managers in prioritizing and implementing conservation strategies. The CAP for Laolao Bay was created in 2009 and re-evaluated in 2012 after many projects within the plan had been completed. The Talakhaya CAP was written in 2010 and finalized in 2012, although activities in the region have been taking place since 2007. The CAP for the West Takpochao/Garapan watershed is currently being drafted and will be finalized in 2013.